Complimentary Valet or off street parking. 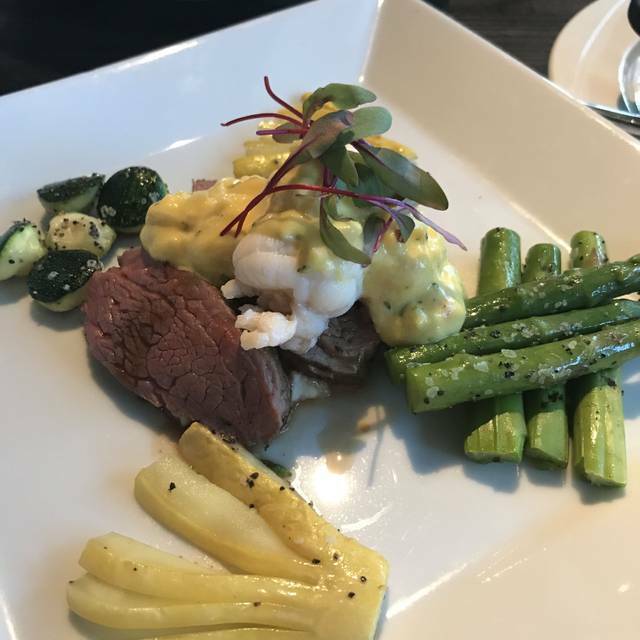 Lovers Seafood is an upscale restaurant with catering. 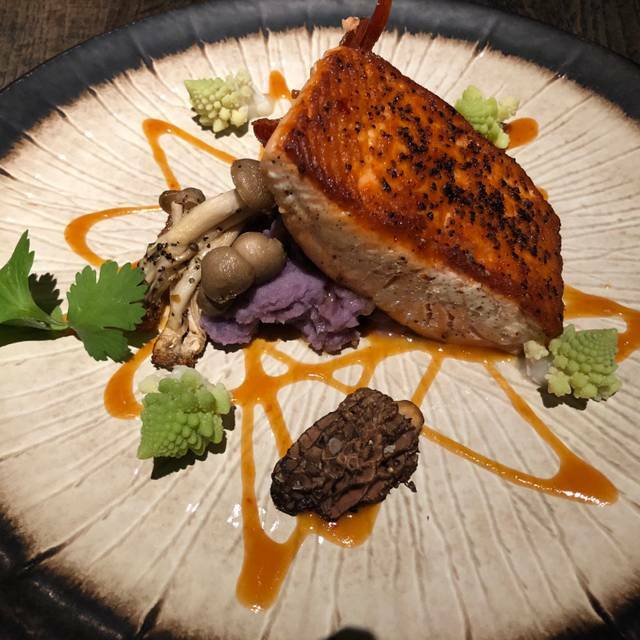 We pride ourselves on food that is artfully prepared and dramatically presented. Our world-class culinary talent enables us to produce spectacular special events in many different venues in the region, and our service staff takes great pride in attending to every guest’s needs with a personal touch. 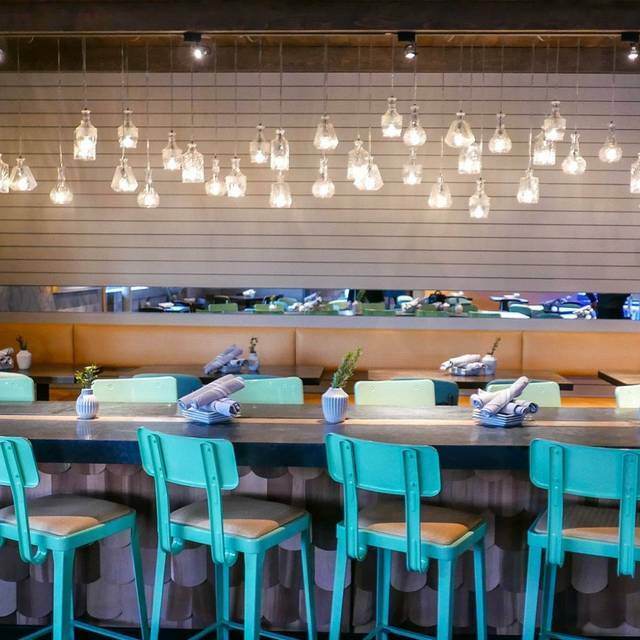 Lovers Seafood and Market is the second concept from Tracy Rathbun and Lynae Fearing, the partnership that produced the local favorite Shinsei. In an age where independent, neighborhood, specialty shops are virtually extinct, Lovers Seafood and Market is committed to the principles of personally providing our community exceptional quality, fair pricing, and excellent service. We strive for these goals while maintaining both a respect to, and a responsibility for, the health of our ocean waters. We are dedicated to providing products that are delicious, innovative, and globally responsible. Our market and our menu are designed to showcase the bounty and the possibility of the world’s waters. Our philosophy is to protect those same waters so generations to come can enjoy all of those same possibilities. Old School Griddled Lobster "Tacos"
Wonderful outdoor dinner with amazing crab legs and shrimp and grits! Jody, our server, and Arthur, the bartender are fantastic!! Our food was delicious! I highly recommend it. The service was excellent as well. Always enjoy coming! Food is excellent as well as our service. Good food, good ambiance, have been several times and will come back. Not completely over the top in any category, but solid. these people have fresh seafood down to a fine art. you will not be disappointed. There really isn't much of a "market" since when you order they just bring is out from the back. Gone are the days where you could see the fish before you bought it. Delightful lunch but very poor service. It was necessary to summon our waitress for every little thing. She was literally MIA! Fantastic neighborhood seafood spot. 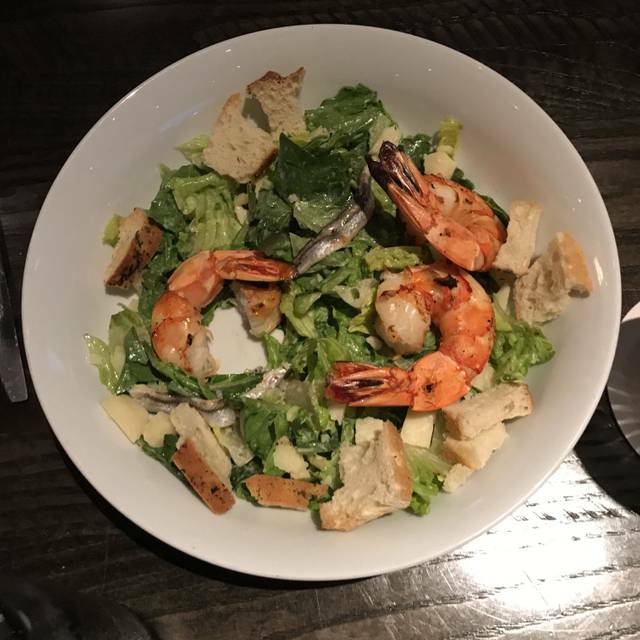 Great fresh seafood mains plus unique appetizers. Our favorite. Outdoor seating was fantastic. Service was quick. Ambiance is very nice. LOVE Lover’s Seafood! Attention to detail will take this local’s favorite over the top! My black pants were covered in lint from the napkins. Hopefully they will offer a black napkin next time. Food was FABULOUS though!! Excellent service and delicious food. We will be back. A new find for us. We will definitely return. The noise level was almost unbearable! I could not hear my husband talk at all; I highly recommend asking for the outdoor dining or bar dining which was not available when we arrived; not their fault, I should have called after making our reservation on Open Table, so my fault! The waiter assured us it would tone down & thin out soon which it did after about 30 min. I love this place! the manager always includes himself in part of the service giving recommendations, asking how our craft cocktails are; oysters etc. Our waiter was awesome too. The food here is fantastic! I had trout with grits, it was delicious! We shared oysters & the Thai lobster spoons & were excellent! My husband had the redfish with some type of red rice that had a delicious flavor. By the time we had our main course, the crowd had thined out and we enjoyed conversation with our entrees! We could not finish our entrees so we did not have any dessert, maybe next time! Also, I have to mention our pre-dinner martinis were awesome perfectly chilled, no ice & my husband had his Chopin which he said was great too. We each had a nice glass of Chardonnay with our dinner which was a perfect pairing! My only other minor complaint, (not their fault) since this a small place the tables are really cramped together; she was practically in my lap! on her baby tablet the whole time, but this was very distracting for my nice dining experience with my husband on our date night. Parents, please leave your toddlers home with a sitter when planning an evening out to places like this! It is not fair for your babies to be up after their bedtime with their blankies, pacies & screen devices in tow! It is certainly not pleasant for the other diners, no matter how cute they are. Such a great spot! Live music, great good, wonderful service what more could you ask for? This is a wonderful restaurant and a great neighborhood gem! Really no complaints but here were our observations. The table are very small. If you order anything more that a small appetizer and entre you have no room. We were a party of two both ordering appetizers and 1/2 dozen oysters. The menu was very small. I get that but there were many seafood species not even represented. Your prices are much higher than your portions or quality deserve. But all in all we thought all was okay but there was no wow at all. The server was competent and friendly. The place was packed on a Wednesday night and that is probably the case most nights. So I assume these reviews will not change anything and they should ride out this great time in dining out. choose something easy next time, if we go back. starter and the salmon entree. Service was excellent! Great 70s songs playing. Noise level was low enough to carry on a conversation. We will be back! Excellent dinner. Service could have been more attentive. Maybe the best meal I have ever had!! This is amazing! Lobster spoons are soo good it was all perfect!! This is the first time that we could take advantage of the outdoor seating. I was really nice. The food was great. Special requests were welcomed. 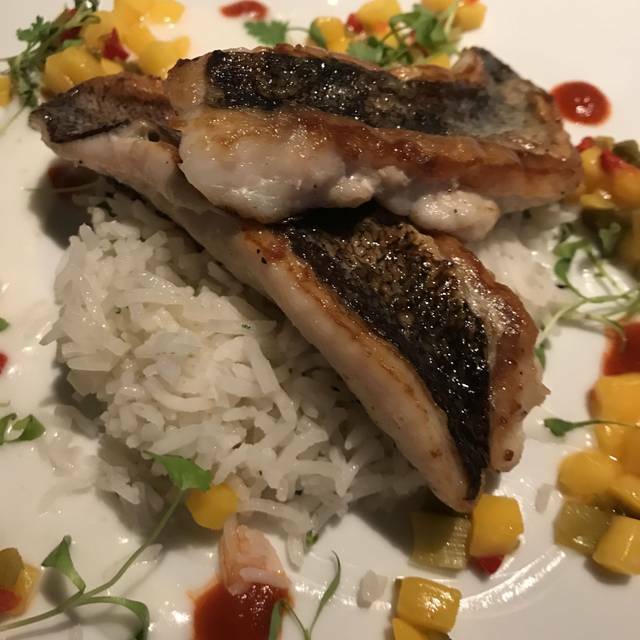 I had the Sea Bass with chile sauce. It was great. They oysters were really good too. The food was delicious but the service was extremely slow. Multiple times our waiter would be taking care of other tables and run away while we were trying to get his attention. Would probably go back for their happy hour deals but not sure I’d pay full price for that level of service. Outstanding meal Friday nite. 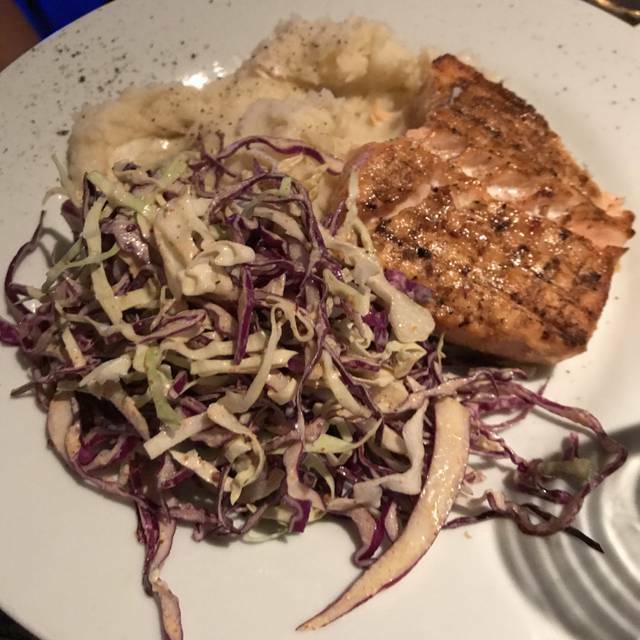 I had Salmon and my wife the Halibut. Both delicious! Patrick was our server and assisted us with wine selection which involved a couple of tastings.Settled on Rombauer Chardonnay.Everything was better than advertised including the homemade chips and Blue Cheese. AMAZING!! From the very moment we stepped into this gem, we were treated so well. No fish smell here at all. Oysters and king crab were fresh..a bit pricey but excellent. The clam chowda was outstanding. The trout was so wonderful complimented by the best grits I’ve had since South Carolina. We had a lovely bottle of Santorini wine then finished this delightful meal with their Key Lime pie! Service was outstanding. Jeff was awesome, very knowledgeable of the oysters and all menu items, and very accommodating. We will be back! I should note we went for an early dinner which makes our dining experience the best for us!! Dallas is lucky to have such a fine resource. The food and service are always perfect. Having been in the food business myself, I especially appreciate the presentation. Also, the menu is thoughtful. One can spend quite a lot or choose a moderate selection and still get a high level of everything. Don't start cutting food cost! That's always the beginning of the end. We want you around for a long time. We had a perfect table in the corner that I had asked for. It was loud but we could still have a conversation. My husband had the green goddess salad and the trout . I had the market redfish with Brussels sprouts and slaw. Perfectly cooked and so fresh. We can count on both of those qualities every time . First, Valet is your best choice for parking. Service is excellent; Ambience and lighting is just right - not bright and not too dark - I'd describe lighting as romantic. Food is between 4 and 5 stars. 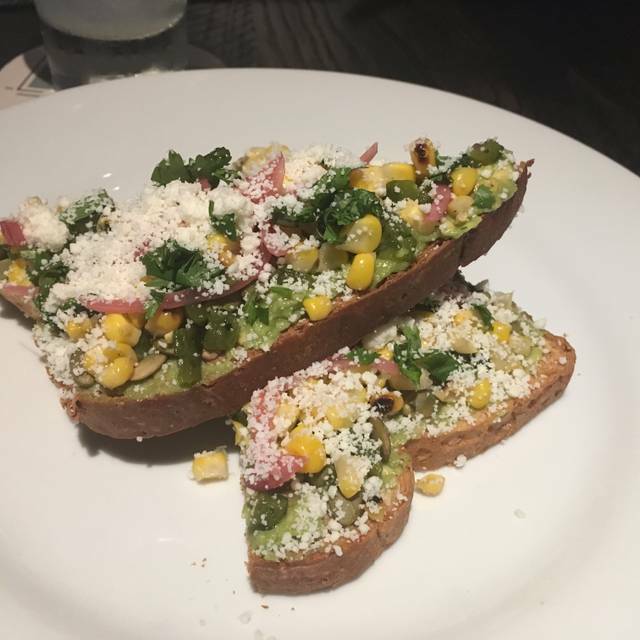 Price is similar to other high end restaurants of this high food quality. 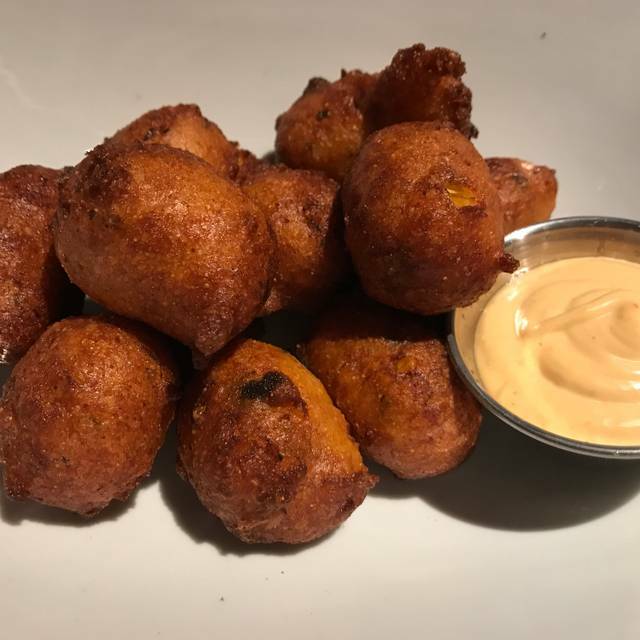 Atmosphere is softer, darker and more pleasing than a similar seafood restaurant - TJ's Seafood on Royal - both are similar in quality. My opinion is that these similar restaurants charge a premium for fresh seafood - and if you want quality, you pay a little extra. Oysters at Lovers are excellent as was the Alaskan Halibut - you have a choice on preparation. Only real downside to Lovers, and many Dallas restaurants, is that red wine needs to be served at a lower temperative. When wine is $18 per glass, please serve it at the correct temperature. Otherwise, it was a pleasing experience with excellent food. great food, service, ambiance, and decent value for the money. Great food and excellent service. 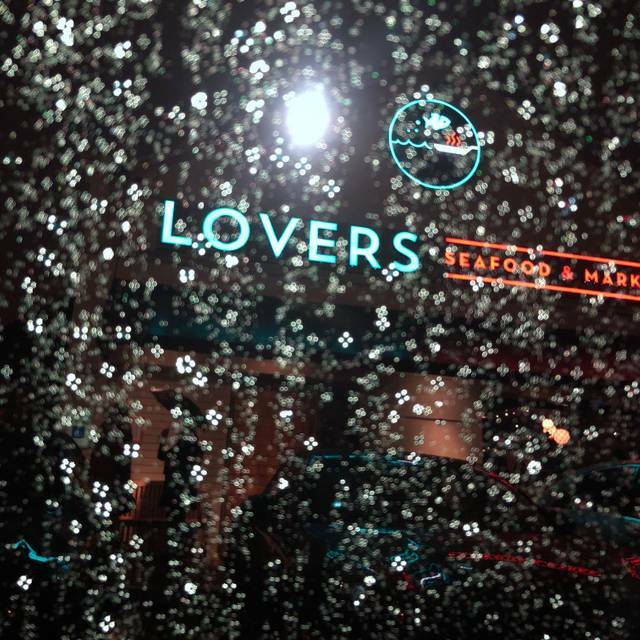 When we are looking for a great seafood place in Dallas, we always go to Lovers Seafood. One of a kind. Ask for Jodie to be your server. She is the best. The food and service were great. The only downside was the the blackened red fish was not seasoned enough for my tastes. Food was very good and menu is varied - sandwiches, salads and large plate entrees. It is not cheap - so it’s probably more of a special occasion place. But overall compatible with the comparable high seafood restaurants in the city. The seafood is always good here. I think it is a little pricy, but that is just my opinion. The oysters are, especially...I wish they had a few more "nibbles" on the menu. Sometimes all I want is an appetizer and a salad. It works for us because we are close in the neighborhood. Service is always good and the wine list is nice.